"An outstanding piece of analysis, not only because of the synoptic view it gives of the extended North Atlantic campaign...but also for the lessons it contains for today's analysts. The most important lessons, I believe, are the need for thought in selecting appropriate measures of effectiveness and the criticality and time and cost in the measure/countermeasure process.... 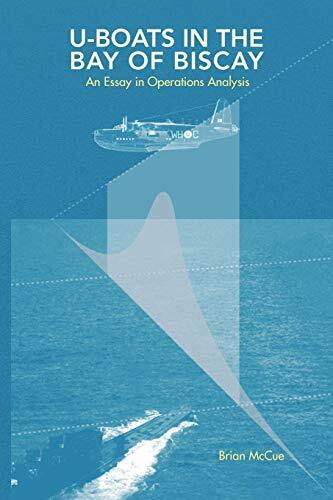 The major contribution is the modeling of the extended antisubmarine warfare campaign, with cycles of innovation and introduction of countermeasures on both sides. This is precisely the kind of extended competition we have been engaged in for the last several decades in many areas.... This should be one of your most useful and stimulating publications." "An extremely original, well presented, and insightful history of the Allied campaign against German U-Boats in the North Atlantic... Mr. McCue's uncomplicated and innovative use of basic concepts and models from military operations research... for discussing this important World War II campaign is both novel and compelling."